Millennium Airport Hotel Dubai’s Assistant Director of Sales, Azel Casianan went on a special sales mission to China last month. 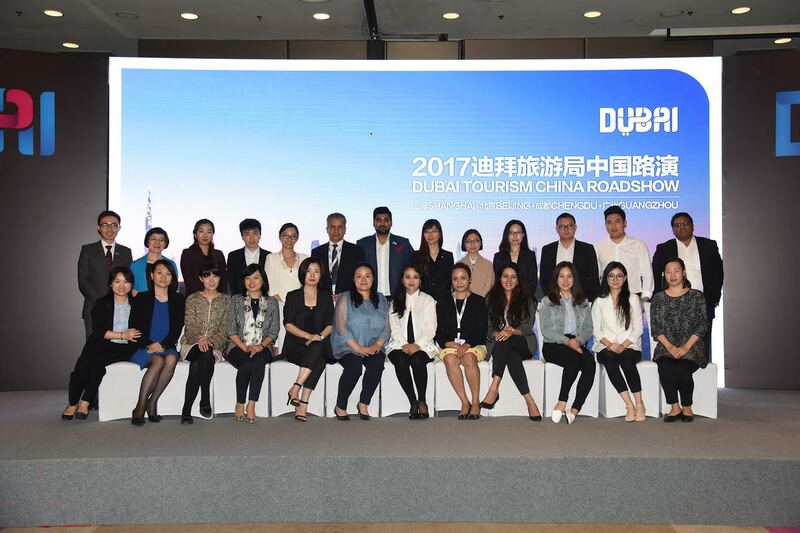 Joining the 2017 Dubai China Roadshow organised by The Dubai Department of Tourism and Commerce Marketing (DTCM), Azel visited Shanghai, Beijing, Chengdu and Guangzhou to explore the 4 cities and gather opportunities to extend the hotel business. Dubai is witnessing unprecedented demand from Chinese visitors. China is among the Top 5 source markets for Dubai. Featuring 341 spacious guestrooms including Superior & Deluxe Rooms, Club Suites, and Executive Deluxe Suites, rooms are equipped with outstanding amenities. Millennium Airport Hotel Dubai caters to discerning global business and leisure travellers, and is known for its engaging service. On site are a distinctive choice of restaurants and bars, newly spacious Al Garhoud ballroom with 6,448 sq.ft. space, 8 meeting rooms with high-end meeting facilities and a range of leisure options including superb large outdoor swimming pool and fully-equipped fitness centre.